John Flynn, 01:20:23 (NET) @ 10K Pace 12:56, Predicted 05:39:05.00. Powered by SAI Timing. This message was automatically generated by our service. For assistance, reply to support@active.com. Stan Freberg, Bob and Ray, Firesign Theater, Jean Sheppard, Garrison Keillor, Harry Shearer, Ira Glass...so many of my favorite storytellers are those guys on the radio. One of the things I love about Los Angeles is that it is such a great radio town. I'd love to do more of it myself...but in lieu of that: two pieces I've been playing with for a while. The shorter piece is an essay by my old friend Nicole Stansbury: STATIC. It's a piece about being absolutely, jaw-dropped-and-gaping lovestruck. I love that it is not sentimental or soppy, but it is heartfelt and sinewy. 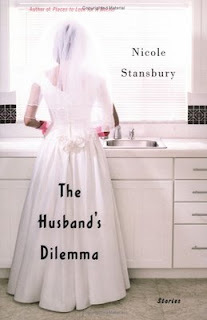 It's from her book THE HUSBAND'S DILEMMA. A great read, that. The other one is about one marriage through 10 holidays across 10 years: SEASONS GREETINGS. It's a piece I wrote for my lovely wife Risa on the occassion of our 10th anniversary a couple of years back. What can I say about this piece? I like to think it's the right kind of sentimental...maybe A.R. Gurney or Ron Carlson? As to its origins, I have to fall back on one of Chris Offutt's lines in his "Guide to Literary Terms." "Short Story: An essay written to conceal the truth and protect the writer’s family."